A number of people involved in the Web Science MOOC (currently in week 4 of 6) will be reporting on what we have learned so far about running a course for over 13,000 participants. The event will be of interest to people currently running / planning to run MOOCs, and to people from the wider University community with a general interest in MOOCs and their possible implications for campus-based courses. Staff and students welcome as always. Lunch provided. For the 4th time Random Hacks of Kindness is again coming to Southampton on 7-8 December! This event brings together developers, makers, and technology enthusiasts with people & organisations working in (international) development, education, and the social sector. Join us and apply your problem solving and technology skills for the greater good! This presentation will describe the development of a propulsion system for a flying car that has the capability of travelling on the ground and in the air. The invention can be utilised as a toy or as a real 1:1 flying car. In addition, the journey from the sketch board to successful Kickstarter entry will be presented. The flying car project as a whole represents a fascinating example of what can be achieved through a combination of innovative design, entrepreneurial vision and new digital funding models. 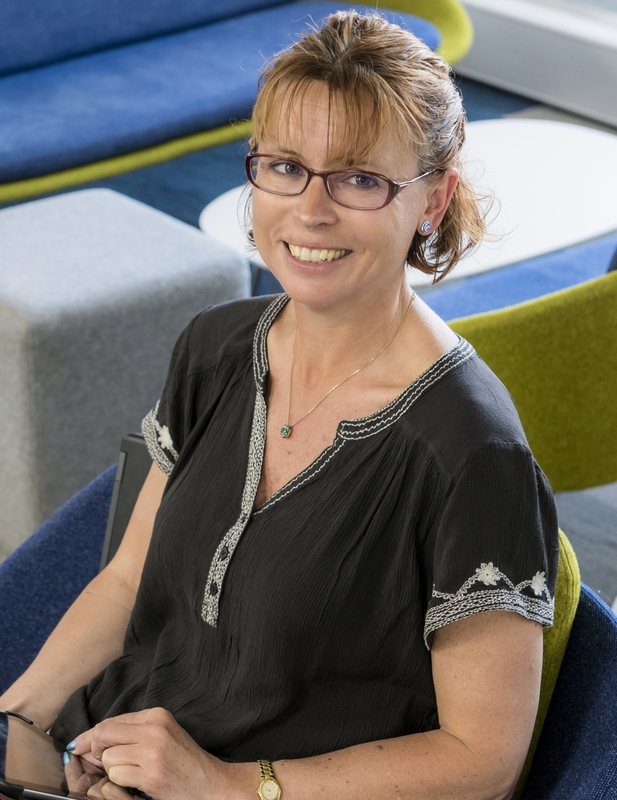 The talk will be introduced by Dr Lorraine Warren who is Director of the Research Centre for Strategic Innovation at Southampton Management School. She has 10 years experience in research in technology entrepreneurship and innovation, funded through SEC, HEIF and Gatsby Innovation fund, focusing on rapid innovation and agile business model development. The proposed vehicle is capable of vertical take-off and landing, climbing 90° surfaces and driving up side down. It can easily drive in difficult terrain as well as achieve high speeds on flat surfaces. It is capable of vertical take-off when stationary (like helicopters) or can take-off while driving on the ground (like planes). During the presentation a working prototype will be shown, this flying car toy prototype called B, could be scaled up to a 1:1 scale vehicle capable of carrying humans on board. Advantages and disadvantages of the system are investigated and a comparison with other concepts of flying cars is also made. The presenter Witold Mielniczek graduated in Economics and later received a First Class Honours in Product Design and Robotics. In 2010 he achieved a 6th place (2nd in UK ranking) in the prestigious EUROBOT competition with a budget of only £300 (compared to the £60,000 of the winning team). Two years later, as a vital part of team HALO, he won the UAV Forge contest organised by the DARPA (Defence Advanced Research Projects Agency of the United States) out of over 150 teams from 140 countries. Currently he’s studying for a PhD in Computational Engineering and Design, researching novel propulsion systems for small aircrafts at the University of Southampton, UK. My hunt for ‘realistic’, immersive experience of digital audio has led to development work towards 3DBARE, the 3D Binaural Audio Rendering Engine. A means for multiple users to ‘walk inside a piece of music’, as though the sounds were actually emanating from points in a physical space, 3DBARE is an exercise in ‘digital liveness’, making repeated experience of fixed output continually changeable. During this long process of discovery and experimentation, I have worked extensively with an earlier tool called noTours, using GPS to edit a landscape with sound. I will outline some of the technical challenges in building 3DBARE and the musical compositions using space as an expressive layer which I have developed over the past two years, during my PhD research. These include the ongoing ‘Audio Portrait of a City‘, spread across Southampton’s green spaces and the early stage project ‘Listening for Infection‘ (a proposed collaboration between Music and the Faculty of Medicine), exploring biomedicine through sonic gamification. DE Lunch-time seminars are free to attend and lunch will be provided. All are welcome. 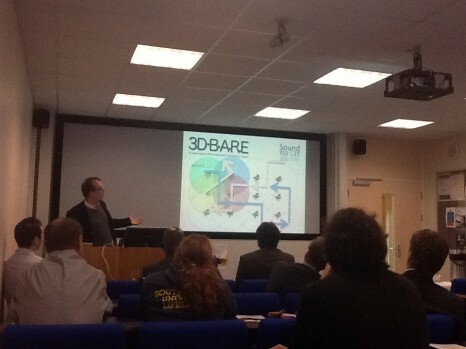 3DBARE Blog Multidisciplinary Research Week. The latest report from the IFPI (International Federation of Phonographic Industry) on Digital Music, clearly states that Digital Music is driving the web economy. This new economy is now shifting the dominance of USA and UK on the music market, with artists from places such as Brazil and South Korea reaching the IFPI global charts of top selling singles. No wonder the music industry is now, more than ever going Global. 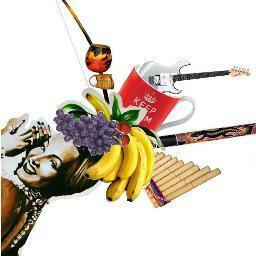 World Music which was once seen as a niche category for ethnic and eccentric tastes, is now the new rock-in-roll. News on the decline of the traditional music industry now sound naïve, as the same medium responsible for the biggest decline in the industry, since the late 90s, is now responsible for its recovery. In 2012, the music industry achieved its best year performance since 1998 with a growth of 81% in total. While sales on CDs fell by 10%, 27% of the sales were digital. Contrary to the tendency of getting everything for free, people are now paying for downloading music. This new shift, together with the use of the web to distribute and promote new work, has been driving the web economy not only in terms of technology, but also in ways that independent musicians are organising themselves and using the medium. It is also changing the way we relate to music since the 80s, the decade in which commercial music from United States and UK had a high dominance in the world. Music on the web is creating new soundscapes in a way similar to the songlines of Aboriginal Australians. These new connections are reinforcing Marshall McLuhan’s theories about the Global Village, a concept that was explored 40 years before the birth of the World Wide Web. This a very broad subject, and as a starting point, this talk will focus on highlighting locations with a strong dominance of Independent Music and their strategies on the use of the web for the production and distribution of music. We will also discuss the effect this has on other creative areas and the way the relationship of the public with music is changing. Next DE Lunch Seminar: Ben Mawson ‘walk inside a piece of music’ via the 3D Binaural Audio Rendering Engine, 22nd July 2013. Presented by Ian Brown, Projects Director, Web Science Trust. The “Elephant in the Room” in this case is a huge and rapidly growing volume of fast-moving unstructured “stuff” generally known as “Big Data”. – How do I recognise it when I see it? – Should I be worried about? – Is this a fad or should I be gearing up to know more? This is an introductory talk (experts will have heard this all before) for those who are unsure about the definitions and relevance of the big data phenomenon in which we try to leave you a little clearer on what all the fuss is about, where to go if you want to get more detail and what might be next for Big Data. Ian Brown is a 25 year veteran IT project manager, consultant now studying the Web Observatory at Southampton (you’ll need a separate ticket for that talk) and who also works as projects director for the international research charity the Web Science Trust. This event also provides an opportunity for extending the discussions at the last DE lunch about openness, copyright, social media policy etc. Simon Morice and David Willox from ICM will discuss the impact of video on how we consume content, the impact on storytelling and the commercial implications. Graeme Earl, Lisa Harris and Fiona Harvey will provide an update on University blogging developments. Experienced bloggers and beginners are welcome to this informal ideas sharing session. Based on experience from running a pilot service at Southampton, we would like to invite anyone from the repository community who is interested in this work to join in a training session in Building 67/1003 at the University on Tuesday 11th December from 1-3pm (buffet lunch included). The first hour will focus on using the service: how to harvest twitter streams, how to monitor the harvesting process, how use the repository tools to analyse the collection of tweets, how to export the data to other visualisation and analysis services and how to deposit the analysed data in an institutional repository. The second hour will discuss the management of the service itself: how to install twitter-harvesting functionality using the EPrints Bazaar, how manage the functionality, how to integrate it with your institutions other repository services and consideration for the licensing and ethical restrictions on gathering and using Twitter data.